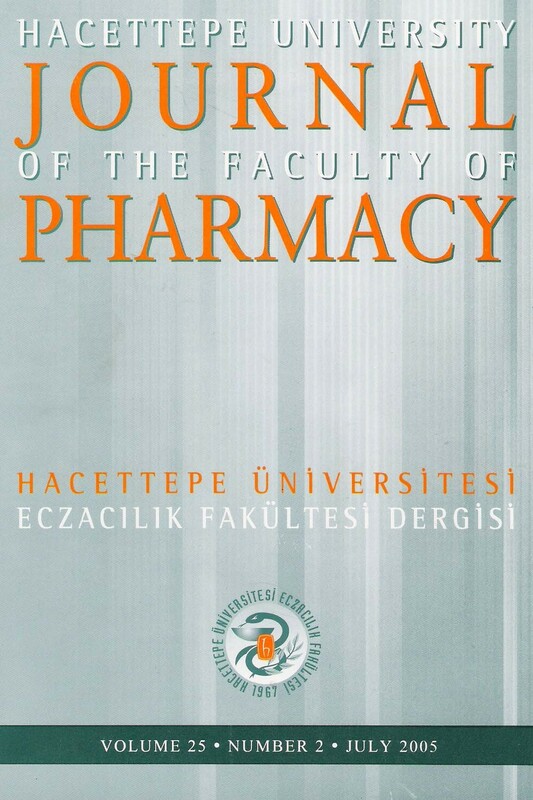 Hacettepe University Journal of the Faculty of Pharmacy has been published regularly twice in a year since 1981. In our journal, we publish recent studies on Pharmaceutical Toxicology, Pharmaceutical Chemistry, Social Pharmacy, Pharmacognosy, Pharmaceutical Botany, Pharmaceutical Technology, Pharmaceutical Biotechnology, Radiopharmacy, Analytical Chemistry, Biochemistry, Pharmaceutical Microbiology, Basic Pharmaceutical Sciences, Pharmacology and also topics related with the pharmaceutical area. All manuscripts are subject to rapid peer review and those of high quality (not previously published and not under consideration for publication in another journal) are published without delay. Hacettepe University Journal of the Faculty of Pharmacy publishes original research artricles and review articles. The research articles should be written in English, the review articles can be either in English or Turkish. The journal is an open access peer refereed scientific journal. We have no purpose of profit and no publication fees. In our journal, we publish recent studies on Pharmaceutical Toxicology, Pharmaceutical Chemistry, Social Pharmacy, Pharmacognosy, Pharmaceutical Botany, Pharmaceutical Technology, Pharmaceutical Biotechnology, Radiopharmacy, Analytical Chemistry, Biochemistry, Pharmaceutical Microbiology, Basic Pharmaceutical Sciences, Pharmacology and also topics outside the pharmaceutical area.